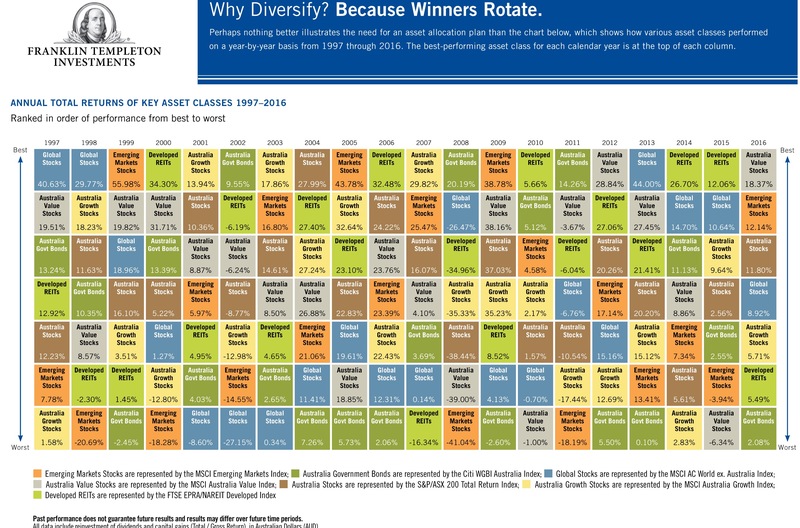 Do you know which asset sector performed best last year, the year before? Do you think those results will guide you for next year? Think again. I don’t think many SMSF Investors would have guessed Australian Listed Property would have been the strongest in 3 out of the last 4 years but in 2016 was a disappointing underperformer. Many burnt in the property sector in the GFC had avoided it like the plague and missed some of the upside. Are you ready for a modern retirement? Until recently, I tended to base retirement planning strategies for clients on a book from the late 90s titled The Prosperous Retirement: Guide to the New Reality by Michael Stein. Stein divided retirement into 3 stages. Each of these stages affected spending patterns differently, so we could plan for clients’ needs at each stage. Under the accepted system, the first stage is the Active stage — those first early retirement years when most people are looking to see the world (or at least Australia) and/or engage in other active pursuits. They’ve suddenly got 50-60 more hours per week of free time and are still healthy enough to get out there and make the most of life and opportunities. The second is the Passive stage — a time when they still look forward to some travel and active pursuits but, with the onset of age-related injuries and illnesses, just not as often as when they first retired. Maybe they’d take shorter trips around parts of Australia rather than long overseas trips through three countries at a time. Then, eventually retirees move into the last stage, the Sedentary stage, when physical or mental limitations — or setbacks like the death of a spouse or close friends — lead to a much more sedentary, home-based lifestyle. It may also involve losing independence and increasing dependency on others. In my experience, I’m seeing a new stage of retirement forming, that can have a major effect on people. This new stage has to be managed carefully. It happens between just retired and the first stage, the Active stage. I call it the Family Support stage. This is a stage where more and more newly retired people are finding themselves as almost full-time carers for their grandchildren, meaning they cannot plan to travel, undertake volunteering or pursue personal activities due to commitments they make to help struggling children. This is not the traditional, one-day-a-week “day with nanny and pop,” but a full on five, sometimes six-days-a-week commitment. Often this commitment comes the added cost of taking care of the grandchildren. The costs may not be recovered from their parents, who are often battling a huge mortgage and/or an expensive lifestyle, so the grandparents pick up the tab and deplete their own savings in doing so. You just need to plan for these expenses that can blow out a retirement budget. I am not saying this is a major negative, as many people cherish time with their grandchildren and would not swap it for the world. However, as a result, they need to be aware that too much time spent in the initial Family Support stage may mean they miss out completely on the most active years of retirement. Some of us may move into the Passive and Sedentary stages much sooner than expected due to illness, and in reality, some of us may not live to reach the later stages. I usually urge clients to put limits on the commitment to family and put aside “me time” throughout the year for some personal travel and other activities. This does not mean going on holidays with the family to be the babysitters while parents relax. I often recommend that you ensure that Fridays and Mondays are free so you can go away for long weekends so make sure your children know this upfront so they can plan what days they need alternative arrangements. It is important to put these limits in place at the outset, as kids may come to rely on the arrangements and so they are hard to reverse later. If people do not plan, then they can end up at the wrong end of their 70s with no energy left to embark on their dream retirement. What do you think? What are your arrangements like in the family? Are child care costs bringing you down? You can comment if you scroll down further. OK I am going to be a bit morbid today but based on the lack of preparation by many new clients I think we need to talk death, mental incapacity and other things legal. Why me? Because for some reason many seem scared of lawyers so I want to give you good reasons to overcome that fear! When did you last review your will, your enduring power of attorney (“EPOA”) and your appointment of enduring guardian (“EG”) documents and of course your SMSF Trust Deed. As a financial planner we recommend you personally review these documents every 3 years and have a solicitor review them every 5 years. Just take them out (if you haven’t forgotten the “safe place” you put them!) and have a look through them after considering changes to you family circumstances including the following triggers. So here is a list of the changes to your circumstances that should prompt you to review these documents as soon as possible and which may even require you to create new documents or update existing ones. Ok as a SMSF blog you know I had to deal with this first. When you first set up an SMSF you may have been told to read the deed but did anyone tell you it’s essential to appoint your Enduring Power of Attorney to ensure the SMSF can continue to run smoothly if your health deteriorates. If you decide to make an unusual investment or loan or arrangement in your fund the you must first know that your SMSF Deed and Investment Strategy allows such a move. So read the SMSF deed and have a written SMSF investment strategy. 2. Marriage automatically revokes a will, unless the will was made in contemplation of marriage. After you marry, you should make a new will. Your Power Of Attorney is not revoked by marriage. If your EPOA was signed before your marriage it is still effective. However, if, for example, your EPOA appointed your former spouse, you may wish to formally revoke the EPOA and make a new EPOA appointing another person as your attorney. Your appointment of an Enduring Guardian is revoked on marriage even if you appointed your current spouse as your EG. After marriage, you need to sign a new appointment of EG document. If you wish to bring your new spouse into your SMSF then you need to follow the rules of appointing a new trustee or director and accepting a new member. Read the deed and the company trustee constitution. Don’t forget to notify ASIC. Check your Binding Death Nomination and any reversionary pensions. Unlike marriage, separation does not affect the validity of your will. As a result, there have been several cases where a couple have separated, one spouse has died after separation but before the divorce and their former spouse has been entitled to the whole of their estate either due to their failure to update their will after separating or by not having any will in place at all and the rules of intestacy applying in favour of their former spouse. There maybe some allowances for the transfer of SMSF assets in the event of a finalised property settlement and again you need to understand the exceptions that apply once the financial/property settlement has been agreed and signed off and read the deed before assuming you can move or split assets. I know I am repeating myself but Check your Binding Death Nomination , insurance nominations and any reversionary pensions. There are specific rules allowing the transfer of SMSF assets in the event of divorce without triggering CGT or Stamp Duties and again you need to understand the exceptions, the process and read the deed before assuming you can move or split assets. Divorce does not revoke your EPOA or EG documents appointing your former spouse. In order to cancel these appointments, you need to sign a revocation and serve it on your former spouse. Divorce only revokes or cancels any gift made in your will to your former spouse. It also cancels your spouse’s appointment as executor, trustee or guardian in your will. It does not cancel the appointment of your former spouse as trustee of property left on trust for beneficiaries that include the children of you and your former spouse. However this will not apply if the Court is satisfied you did not intend to revoke the gift or the appointment by the divorce. Instead of leaving these matters to the Court, if you have not made a new will after separating, it is imperative that you make a new will as soon as possible after your divorce. 5. Birth of an additional beneficiary. This is likely to necessitate a change to an existing will unless your solicitor has catered for future arrivals. This is another care where being too specific can require frequent updates and legal fees. 6. Death of a spouse, an existing beneficiary, your executor, your attorney or your EG. Review your will, Enduring Powers of Attorney and Enduring Guardianship, Binding Death Nomination, insurance nominations and any reversionary pensions. Do you need to appoint a new individual SMSF trustee or director to keep your SMSF compliant? Review your will and look at Testamentary Trusts or Special Disability Trusts. Last thing you want is for your beneficiary to lose their Disability Pension because of an inheritance. 8. A material change in your financial circumstances. Have you sold or transferred assets that would have formed part of your estate? Make sure you have not mistakenly left someone with nothing. If you have been bankrupted or considering filing for bankruptcy then you will not be able to continue as a member of your SMSF. You need to look at rolling to a Small APRA fund or a retail fund. You also need to have your own parents if still with us to reconsider any direct inheritances to you as your creditors may grab them. The person you appointed as your executor, your attorney or your EG may no longer be suitable or capable of administering your estate or managing your affairs or making personal decisions for you. If it is you or your spouse who have been diagnosed with onset of dementia or Alzheimer’s for example then you need to decide if you should have your EPOA step in now rather than later to help manage your self managed superannuation fund. Retirement often results in people restructuring their affairs. This is an ideal time to be proactive in your estate planning and possibly consider setting up tax effective arrangements through your will that you have not done previously. Have you started a pension in your SMSF? Have you documented it properly including a reversionary pension election or Binding death nomination? Have you sold assets like a business premises or investment property previously allotted to someone specific in your will? Are they losing that benefit! When any of these events occur, you should review your SMSF and estate planning documents and, if necessary, create new documents taking into account the relevant change of circumstances. Don’t be afraid to ask advice but make sure you are dealing with a specialist in each area. If you have been paying attention you will notice I said “12 Triggers”. Well I’ll leave the 12th for you to add in the comments section below. Come on I must have missed a few and I know some really sharp minds read this blog so help us out! I will add the best one to this list after a month or add my own, so why not subscribe to the blog in the “Free email updates” section on the left hand-side of the page. The difference between your marginal tax rate and the tax rate on contributions is what makes up the benefit of salary sacrifice for the member of your fund. This has nothing to do with investments, it is just income planning and using the tax system legally to your advantage. within three business days of being withheld from salary. What forms of income can be salary sacrificed? An alternative strategy for lower-income earners is to make personal after-tax contributions to obtain a Government co-contribution of up to $500. Note: Salary sacrificed employer contributions do not qualify for the Government’s co-contribution. It is also the case that a salary sacrificed amount, being an employer contribution, could meet some or all of employers SG obligations. SMSF members should negotiate with their employer that SG payments are maintained at pre-salary sacrifice levels and include this in the SSA. Members of your SMSF should ensure that they understand the impact of entering into an SSA. Where possible, the agreement should ensure no reduction in benefits. However confirmation from the employer is necessary. SMSF members should include in the SSA the frequency of salary sacrifice contributions to super (eg the same frequency as salary payments). RESCs are not added back when calculating the low-income tax offset and Medicare levy. As a result, the employee’s termination package would be reduced. SMSF members should ensure that the SSA does not impact on other benefits and entitlements. At the beginning of the financial year, it’s critical to review your SMSF member’s existing SSA to ensure they won’t exceed their CC cap. Ongoing reviews may also be necessary as the member may receive a pay rise during the financial year or elect to salary sacrifice a bonus which impacts on the total CCs. As well as if the concessional contribution cap increases in future years or the client becomes eligible to use the transitional higher CC cap. We recommend a April or May review of contributions to make sure your SMSF members are under their caps and will stay so up to June 30th. I hope this guidance has been helpful and please take the time to comment. Feedback always appreciated. Please reblog, retweet, like on Facebook etc to make sure we get the news out there. As always please contact me if you want to look at your own options. We have offices in Castle Hill and Windsor but can meet clients anywhere in Sydney or via Skype. Just click on the Schedule now link to see some options. Information sourced and valid as of February 2015 from ATO, BT, MLC, Challenger, SIS Act. What if you are not sure a proposed investment ticks all the boxes? While you should make your best effort to ensure that the SMSF investments in your fund are compliant with the legislation, it can often be difficult to tell whether a particular investment strategy would be compliant or not. For example, an SMSF trustee would be able to acquire a property from a member if that property was deemed to be business real property (BRP) but while for most BRP it is obvious that it satisfies the definition like a stand alone warehouse, for other properties it is far from clear such as a retail shop with 2 residential units above it. In this case, as trustee, you could either decide not to proceed with the acquisition or else they could seek further guidance. you should initially seek guidance from your fund Auditor and other adviser but you may often get a grey answer. While trustees always have the option of seeking legal advice, they also have the ability to go straight to the ATO to seek their opinion before entering the transaction. 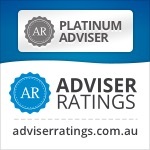 This guidance can be sought by using the “Request for self-managed superannuation fund specific advice available” on the ATO website. payment of benefits under a condition of release. You should use this service if you want specific advice about how the super law applies to a particular transaction or arrangement for a self-managed superannuation fund, but you cannot use this service for tax related questions so that is when you need to look for a Private Ruling. 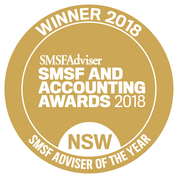 As an SMSF Trustee, if you have a concern that your circumstances or those of the fund may put you in an unusual tax position, or that a particular financial arrangement doesn’t fit any known approach for tax purposes, or you simply wants to minimise the risk of an unanticipated tax outcome, you can apply for a ‘private ruling’ from the Tax Office. A private ruling may deal with anything involved in the application of a relevant provision of the law, including issues relating to liability, administration and ultimate conclusions of fact (such as residency status).When you apply for a private ruling about an arrangement, you can also ask the ATO to consider whether Part IVA (general anti-avoidance rule) applies to the arrangement. In fact a lot of the proposed SMSF projects or strategies we are asked to advise on do not have a clear definable answer. Specific advice is often required on unusual scenarios for contributions involving residency or the work test or benefit payments for those under age 65. Asking for a private ruling can be a good way to ‘test-drive’ a tax arrangement you may be considering, especially where the already existing information from the Tax Office doesn’t seem to adequately cover all the bases and you are concerned about the level of tax or penalties if you get it wrong. You can apply for a private ruling on behalf of your SMSF yourself but I would recommend using your tax agent or tax law specialist (click here for access to the private ruling instructions, plus additional ATO guidance). Each ruling is specific to the entity that applied for it, and only to the specific facts and situation considered by the ruling, and can’t be picked up as a standard by any other taxpayer. These are one-off decisions, made only about a certain set of circumstances, and they set out how the Tax Office views that situation. If you get a private ruling, and base your SMSF tax affairs on that advice, the Tax Office is bound to administer the tax law as set out in that ruling. But, if later, the ATO issues a public ruling and the tax outcome conflicts with the one in your private ruling, you generally have the choice of which one to apply. A ruling made in respect of a particular tax law will be changed if that law is altered by legislation or by the result of a court decision. But it’s worthwhile remembering that if you follow a ruling’s advice, and that ruling is later found to have not applied the law correctly, that you’re protected from having to repay any tax that would have otherwise been owed, as well as interest and penalties. If a private ruling affects one of your earlier tax assessments, the Tax Office will not automatically amend it unless you make a point of submitting a written request for an amendment. But just because you apply for a private ruling doesn’t mean you are going to get one. The Tax Office can refuse if it thinks a ruling would prejudice or restrict the law, if you are being audited over the same issue, or if it deems your application to be ‘frivolous’ or ‘vexatious’. There has been a huge increase in Self Managed Super Funds being set up by people in their 30’s and 40’s according to ATO statistics, with 42.7% of new trustees under the age of 45. So I am going to address an issue that until now has rarely been mentioned with SMSFs strategies, as previously they were seen as the territory of crusty old men. There finally seems to be a push on at the moment to improve the superannuation of all women in Australia. They have been lagging behind when it comes to their superannuation due to breaks in their careers as mothers or carers or because they have chosen professions that are crucial to the economy but underpaid. Statistics repeatedly show, women will retire with a super balance that’s almost half that of men. The problem of this lower level of retirement savings is compounded when you understand that women live longer and therefore need more not less super that their male cohorts. Taking time to raise a family as a stay-at-home-mum or having part-time employment to allow for caring for a sick family member leads to loss of contributions in those critical early and later years of superannuation savings. Money that could have been invested in their 20’s or 30’s that would have compounded year on year up to retirement has been foregone. The women who also take on the burden of carer for their parents or ill spouse in later years can miss the boost in savings capacity when the mortgage has been paid off. But what can you do for your super while we wait for politicians, business and unions to come up with a long-term solution. If you are in the position of having to take a break in your career here are five strategies for continuing to build your super during those years where employer contributions are not available. Pregnancy and illness rarely fall in line with financial years so as long as you have worked any period during a tax year you can contribute up to $1,000 of your own savings to super and also be eligible to receive a government superannuation co-contribution of up to $0.50 for every $1 of non-concessional (after-tax) contributions you make to your super account. A spouse contribution is an after-tax super contribution made by your partner directly into your superannuation account. This is a good for both parties as you get a boost to your super and your partner gets a tax offset to lower their taxable income. As is currently the case, the offset is gradually reduced for income above this level and completely phases out at income above $40,000. For SMSF Trustees, make sure you clearly nominate in the reference or accompanying minute that this is a spouse contribution so the administrators can allocate it correctly. This is a great way for partner to show commitment to maintaining your financial equality and showing taking care of family is a team effort. Contribution splitting which is fully explained in the linked article involves your partner directing a portion of their concessional superannuation contributions into your super account. The split occurs as a lump sum rollover and must be made in the financial year immediately after the one in which the contributions were made. the concessional contributions cap of $25,000. Contribution splitting can be a highly effective way to build your super while you take a career break and can work even if you had done some work before the pregnancy in the tax year or if you worked part-time afterwards. Within an SMSF you should just minute the request to split the contributions and confirm the receiving member’s eligibility and then pass that minute to the administrators or accountant. They may have template minutes available to make this easier. If you are in your 20’s to early 40’s then you should not just accept the standard “core” or “balanced” asset allocation in your Superannuation fund. You have the right to choose your profile and especially as an SMSF trustee. With the preservation age of 60 and likely to rise towards 65 or 70, you should be choosing an investment asset allocation that is growth or high growth orientated to make the most of compounding returns on growth assets like shares and property during those earlier years. Of course if you personally cannot take on that much risk without worrying then you may need to be more conservative but with some guidance and education on long-term returns and investing I believe you can step up to the higher allocations to shares and property confidently. Now this one may be a stretch as when you have had a baby or are caring for a sick family member, you may not be flush with savings or may be focusing on paying off the mortgage. However ,if you do have a surplus, then boosting your retirement savings with personal contributions is a good move. Non-concessional super contributions are made by you out of your take-home (after-tax) pay, savings or for example an inheritance. You can add as little as you wish and whenever you wish subject to a maximum of $100,000 in any one year from 1 July 2017 or $300,000 if you are so lucky! using the 3 year bring forward rule. The first $1,000 may be assessed for the government co-contributions as mentioned above, further boosting your savings. So if you are one of the new breed of younger SMSF trustees who has to take time out for family or health reasons, you are not alone. You can maintain momentum with your super and use some or all of the above strategies to ensure your Superannuation powers ahead during time out of the workforce. Budget 2016 had some positives for those with broken careers and one will be that you will be able to use unused contributions over a rolling 5 year period to play catch up on concessional (SG and salary sacrifice) contributions from 1 July 2018. Are you looking for an adviser that will keep you up to date and provide guidance and tips like in this blog? Then why now contact me at our Castle Hill or Windsor office in Northwest Sydney to arrange a one on one consultation. Just click the Schedule Now button up on the left to find the appointment options. Tip: Seeking immediate satisfaction can encourage impatient and shortsighted behavior. While a short-term view has its place, an overall less lusty approach, weathering up’s and down’s, can prove to be more fruitful in the long term. Tip: When it comes to information, less is very often more. Having the discipline to screen out market noise is likely to be key to rich investment pickings. Tip: Whether its equities, bonds or property, if everyone is rushing to invest, it’s probably best you don’t. The greed of the herd should always be treated with caution, take a breath, be patient. It may take a while for others to come round to your point of view, so wherever you invest, invest for the right reasons. In investment, there are few shortcuts. Understanding what you’re investing in means doing the hard work, even though it’s rarely the quickest way. Only once due diligence has been done, can you truly rest comfortably. Tip: When markets are plummeting and everyone is selling, it’s easy to panic, but if your portfolio is properly diversified, you can afford to be an oasis of calm. Keep a portfolio of varied assets, and you’ll be able to withstand the wrath and unpredictably of the markets. Tip: Imitating the index is the poorest form of flattery. Benchmark hugging is driven largely by fear. Instead of investing in assets which have just done well in the past, you should invest in those that offer the best potential for future returns. Tip: As we know, pride can become before a fall. Overconfidence and ignoring the warning signs can be fatal. Investors often make the same mistakes over and over again. Click on the graphic to open larger size. If you want to add the ultimate in flexibility then look a the use of a Self Managed Superannuation Fund ( SMSF ) to allow access to a greater range of investment options for your pension, with the flexibility you need and the control you want! Stepping out of my comfort zone and doing some video as I am told that is what people are looking for now. I am fine when I do Foxtel’s Your Money your Call Retirement show or Money Management show as that is live and not scripted. I have always been more comfortable with just speaking my mind than trying to follow my own scripted content or reciting. Takes me back to my childhood Religion class in the Christian Brothers School in Ireland when I struggled to stand up and recite the Hail Mary (a prayer we said many times each day but when I had to stand up an recite on my own I would blank and be chastised by the Brother Kenny for my lack of religious conviction). I know now that I am a story-teller and a good listener but not good at recitation! Dave Power and his team from Power Creative let me have a delicate balance by guiding the conversation but letting me ad-lib. Hopefully the message gets through that we love helping clients achieve their goals and dreams. With all the talk of the government bringing out rules to tax superannuation or limit balances, I have been having some very interesting conversations with colleagues and clients, especially those whose retirement savings are expected to be in the $600,000 $900,000 level. Many are conservative investors and would hold 30-40% of these funds in Cash and Term Deposits normally, which at current levels would earn them 2.0-3.1% at best. They are concerned that they may not qualify for the Age Pension when the Asset Test limits apply in 2017 or lose a substantial portion of what they currently receive. Further they don’t trust that the rules for the Commonwealth Seniors Health Care card won’t tighten further so that offers no solace. Now with the added worry that the government may tax or tighten superannuation pension rules and affect them, they are looking for some alternatives that offer more security. So I did the figures on one option I had discussed with my colleague Richard Livingston at Eviser.com.au (our online General Advice service). I looked at a couple who are currently retired and have $850,000 in assets that for example purposes are all deemed and of which $400,000 is in Term Deposits. They currently receive $6,104 each of Age Pension per year which has helped them as the rates on their Term Deposits have dropped significantly in the preceding 5 years. The problem is that with the new asset test in 2017 they will lose that Age Pension completely or $12,208 as a couple per year. Calculations are based on pension rates as at 20 September 2015. Strategy to both secure some Age Pension and provide a better return that Term Deposits. Note: this is not a recommendation to implement this strategy and you should seek personal advice before doing anything like this with your savings. So what if instead of keeping $400,000 of their funds in Term Deposits as they currently do, they put that $200,000 in to a value adding extension to their current home (say a kitchen or extra bathroom and bedroom extension). To be clear, THEY DO NOT NEED THE EXTRA ROOM!. Well even at the best current Term Deposit Rates, say 3%, they would lose $6,000 per year in investment income. However as their assets for Centrelink Age Pension purposes have now dropped from $850,000 to $650,000 their Age Pension would increase to $10,004 each per year until January 2017 and they would receive $6,747 each or $13,554 as a couple from 2017 onward based on current rates. Can you see the perverse nature of using this strategy. They reduce their assessable assets by $200,000 and probably add significant value to their home if a smart extension is done while at the same time getting over $13,554 from the Age Pension as opposed to only foregoing $6,000 of investment income. So instead of the 3% return on that Term Deposit they are getting a 6.78% per year return plus potential for increased value in their property going forward. Is this really what we want to see? Clients refusing to downsize or actually pumping more of their savings in to their family home which is exactly what the country does not need in terms of housing affordability issues. Every time I see the SMSF statistical results issued by the ATO I am dismayed by the number of new SMSF funds being set up with Individual Trustees. I can only assume this is people setting up self managed superannuation funds without good advice or reasonable research. Do you want your own Cayman Island type account for your Superannuation ? OK I realise I might have to shout a little to get people’s attention when it comes to tax and investing but while watching the recent media hype and political spat about Malcolm Turnbull investing in the Cayman Islands I did have to laugh to myself. Most Australians do not need to go that far to secure a good deal when it comes to their tax affairs. Do you understand that someone over the age of 60 here in Australia can have an account with the following characteristics most sought after in tax havens? I can see your eyes light up! So where can you go to organise these facilities? YOUR SUPERANNUATION ACCOUNT CAN BECOME A TAX FREE HAVEN! Why am I shouting? Because so many people are not making use of the tax and superannuation strategies that could put them in the exact same tax-advantaged position that a multi-millionaire has to use islands in the Pacific Ocean or Caribbean sea to achieve. After age 56 you can start a Transition to Retirement Pension and the earnings in your fund can be tax free. From 56-59 you may some tax on the income (4%) you have to drawdown from the pension but from 60 onwards it is tax free and you don’t even have to report it on your tax return. Don’t think it’s all too hard or it’s a scam or it seems to hard or only available to SMSF members . It is really easy and as long as you are over 56 you are 95% likely to benefit from this strategy. give me or your own adviser 5 minutes to run your figures and your will see the worthwhile savings. I believe for most people they can save enough for 2-4 overseas holidays extra in retirement and often much more. Aged 59 – 64 and not on a Transition to Retirement Pension – SHAME ON YOU! The Prime Minister, Malcolm Turnbull has indicated that superannuation is back on the table in terms of tax reform and that the government will look at Labor’s proposals and consider them. I have had a few calls from people reacting to this announcement in panic and considering their use of the superannuation system. No one , especially me as an SMSF advisor , likes to see governments tinkering with the Superannuation rules and I normally see it as akin to “dipping in to a honey pot” by desperate treasurers. However the switch to completely tax-free pensions for over 60’s in the 2006 Budget was a step to far by Peter Costello. At the time Peter Costello trumpeted them as “the most significant change to Australia’s superannuation system in decades” but what Costello and his treasury advisers did not mention or properly cost out was their long-term cost to the budget with an ageing population and economy that goes through mining and property booms and busts. I and indeed many of my clients in conversation realised that this was overly generous and we have always expected that the largesse would be rained in at some time in the future. Yes, I am prepared to resist any changes but more so to ensure the government of the day does not over step the mark and hurt the confidence in the system but I and others realise that the 2o06/7 move to tax exempt pensions for those over 60 was a too far a leap for our economy. So what are Labor’s recommendations? Now let’s look at the Labor proposals which are not overly draconian and will affect few people, mostly the “one percenters”. Lets look at them carefully. Labour promised in April that if it won the election, it would impose a 15 per cent tax on the super income of retirees on all earnings of more than $75,000. Well this is per person so a pensioner couple could earn $150,000 in their SMSF or Superannuation before they have to pay any tax on earnings above this amount. The “above” is important as lets say a SMSF had $200,000 had net earnings to apportion to members for a year; well the tax would be only on the last $50,000 (assuming even balances) and would amount to $7,500 less some of the funds expenses which would become tax-deductible. Assuming a return of 6% per annum net for a super fund, the fund would have to be valued at over $2,500,000 before attracting any tax on earnings above the $75,000 per member. Labor have also proposed a 30 per cent tax rate on contributions would apply to those on incomes from $250,000 and more, down from the current threshold of $300,000. Again this means that salary sacrifice by some earning more than $250,000 would still save them 19% per dollar as opposed to taking the money after tax at their marginal tax rates of 49% (including Medicare and Levies). so the benefit of making contribution still outweighs not saving the funds. The old argument that these people would stop saving for retirement, spend the money and rely on government support in retirement via the age pension is just rubbish. The people affected (earning personal income over $250,000 per annum or super balances over $2,500,000) are smart enough to realise they need to take care of their own retirement and that access to the full couples pension of $33,717 is just not going to meet their needs. they will continue to use the tax, property and superannuation systems to maximise their returns using the most tax efficient options available to them. The real danger in any change to the rules would be if a government were to change the superannuation rules to affect middle-income earners or if the media drummed up enough fear that confidence in the superannuation system was severely reduced. That is why even Labor has been careful to only target the fringes of the population or the 1% high income earners and we can also expect some degree of “Grandfathering” of any changes where anyone already committed to pension may not be affected by the changes. The other danger is that once your start taxing pensions and increasing tax on contributions at certain limits, the temptation is always there to move the goal posts further and reduce those limits like the suggested move from additional 15% tax on contributions for earners over $300,000 to applying that additional tax to those on over $250,000 as Labor proposes. Once they start the precedence is set and future governments will find reasons to dip in deeper to our savings. Use Super Splitting from your 40’s onwards to ensure contributions are moved to a lower earning spouses account consistently over time to even up balances. Click here to read more on how super splitting works. In summary, I believe any changes will be targeted and that the coalition under Malcolm Turnbull will be more conservative in their changes than Labor proposes. You should however do all you can to protect your own position and use strategies available to you. It also does not harm to argue the changes and force the government to justify clearly any changes to be made to ensure they understand our displeasure at tinkering with our retirement nest eggs.